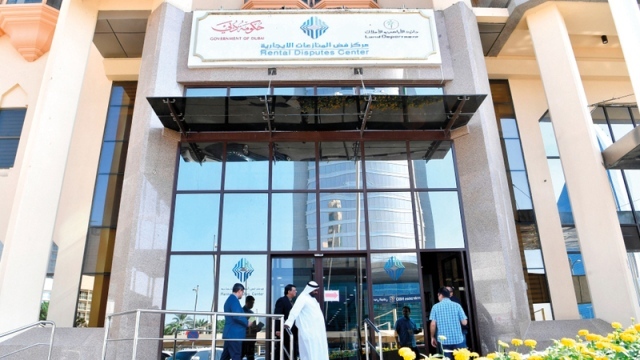 The Rental Disputes Centre, RDC, showcased its real estate litigation journey in service of the sector, enhancing investor confidence in Dubai’s real estate market as part of its participation at GITEX Technology Week 2018, which is being held until 18th October, 2018, at the Dubai World Trade Centre. The centre’s mission in the most prominent technical event, locally and regionally, focussed on demonstrating its litigation journey and developments since its inception in 2013 that commenced with traditional litigation mechanisms. By 2015, the RDC developed the infrastructure to enforce smart litigation, and the current developments introduced remote litigations representing an addition to the real estate litigation journey. This allowed the RDC to reach the highest standards and achieve its vision to be the international benchmark in resolving real estate disputes. Mousa affirmed that in 2019 the RDC will launch the world’s first-of-a-kind self-litigation mechanism, which employs Artificial Intelligence to litigate cases between parties without the need for a judge. Self-litigation begins when one of the parties enters the technical system, specifies the type of claim (whether tenant or leaser), and attaches the required documents. The judgement will then be issued and directly sent by e-mail or text message to all concerned parties. “The RDC’s various procedures positively and effectively contributed to facilitating decision-making and procedures, including the speed at which real estate disputes are resolved. Previously, the litigation period at the RDC took 45 days to complete, but customers can now obtain judgements and finalise all procedures within eight days. The RDC was also was able to reduce the length of sentencing in general, despite the fact that the law gives time to adjudicate in preliminary cases, contributing to building a basis for protecting the rights of all parties,” he added.